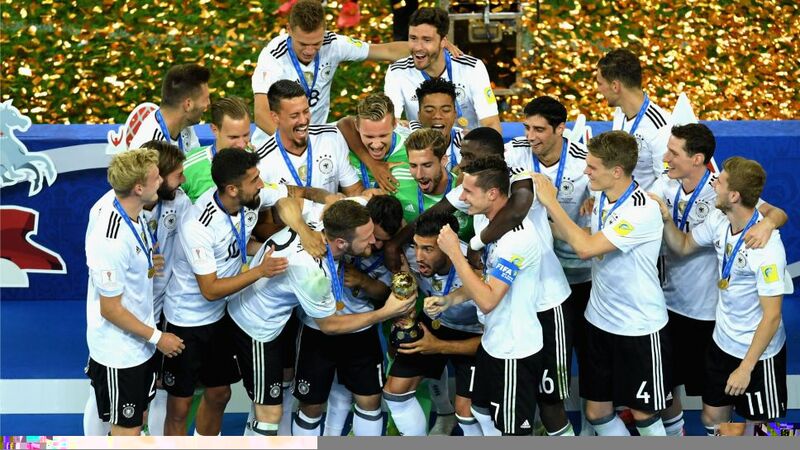 President Dr. Reinhard Rauball and CEO Christian Seifert have offered their congratulations to the German national team following their Confederations Cup triumph in Russia. DFL President Dr. Reinhard Rauball: "Following the U-21s winning the European Championship, the Confederations Cup victory for the young players in the senior team is another fantastic success for German football. Congratulations to coach Joachim Löw and his team, who impresses with their performances. It will have been a positive experience all-round for everyone involved." DFL CEO Christian Seifert: "Congratulations to Joachim Löw and his young team for this remarkable success – and together with the U-21 European title it's been a great weekend. The gratifying number of talented players in both teams shows the prospects are good for German football. The senior side captured the imagination both in terms of their play and with their attitude."